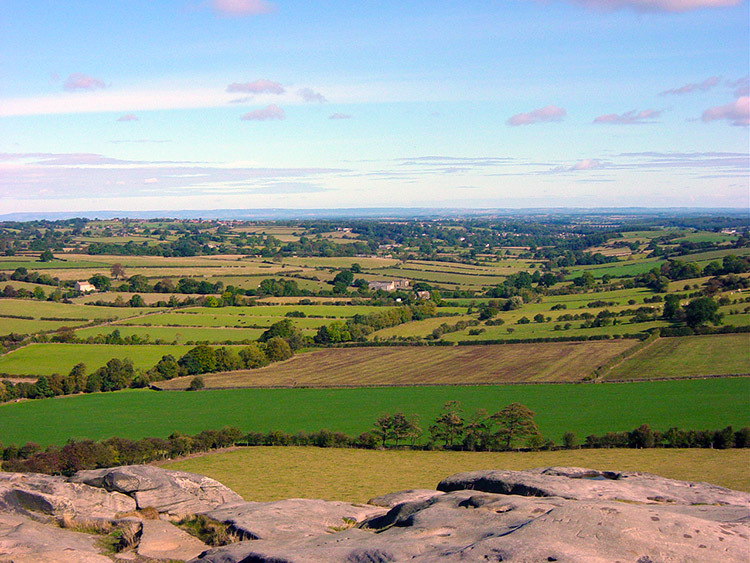 Summary: A lovely walk just to the north of Leeds and south of Harrogate. 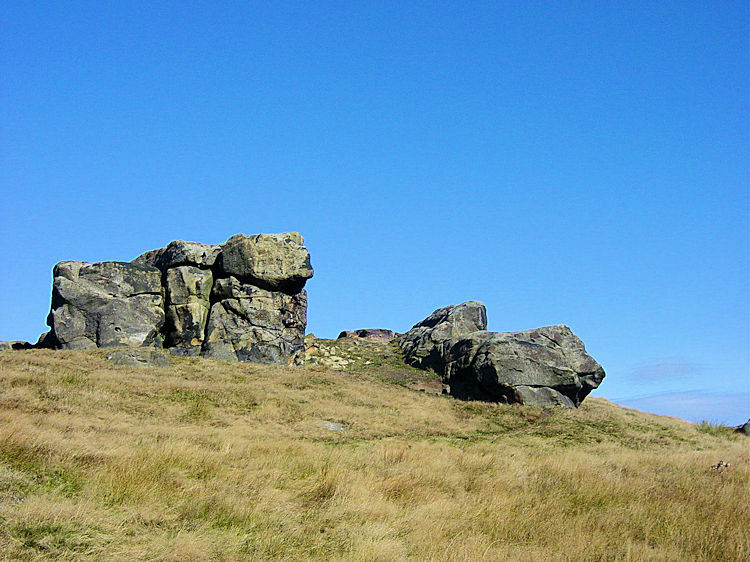 It links Almscliff Crag with the less known Little Alms Cliff. 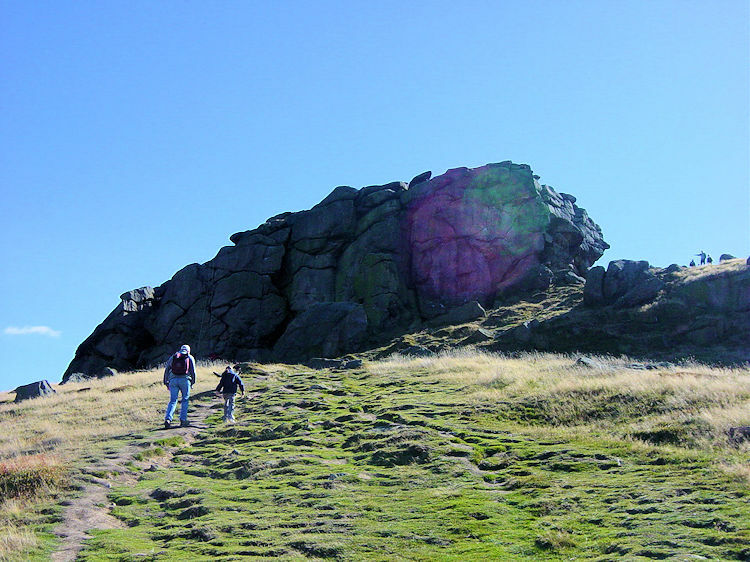 The walk is perfect for a short weekend trip out from the city and the reward for making the effort is a gentle walk in the stunning scenery which is featured in the opening credits of Emmerdale. This walk is so local to me living less than 10 miles from the starting point yet I had never thought of linking the two Almscliffs before. What inspired me was a book I picked up during a visit to Waterstones in Leeds. The book 'The walkers guide to Mid-Wharfedale and Washburn Valley' by A David Leather is excellent. It has 20 walks included that are all less than an hours drive for me so when I have not got the time to get further into the Yorkshire Dales I will take the time to explore my local walking area, all thanks to the book. This one is a slight variation on walk 3 in David's book. I will always attempt a little variation. And so here we go. 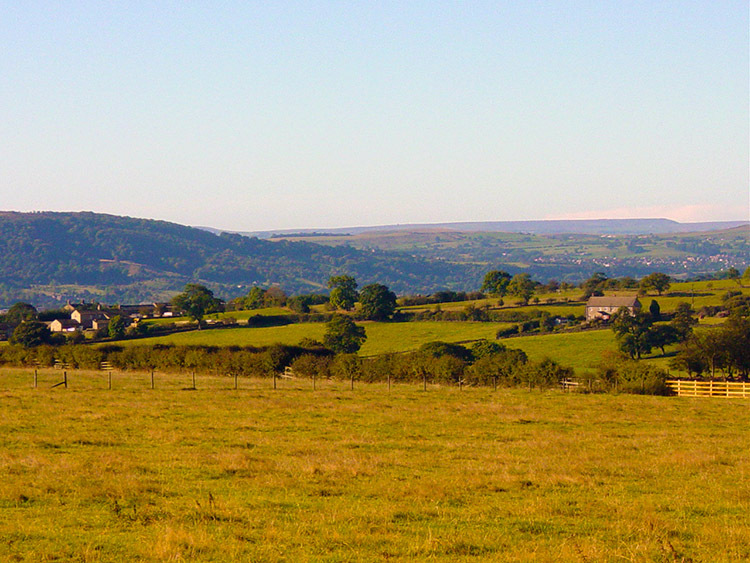 I started my walk at Braythorn, a delightful quiet village (no shop, no pub) three miles north-east of Otley. From Braythorn I walked down a lovely little lane to West End and then followed the verge of the B6161 for a few yards until I was led off the road onto a bridleway that climbed Lindley Moor to Stainburn Moor Plantation. 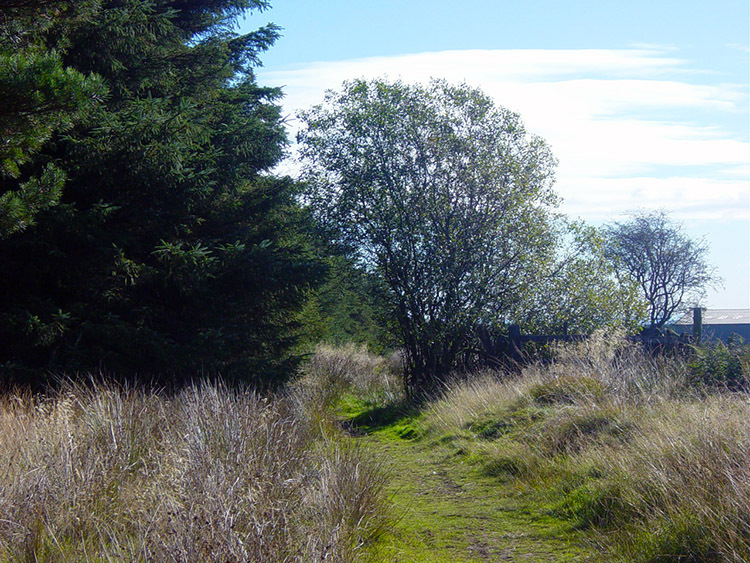 This was lovely rambling on a slight ascent that lasted for almost two miles until I emerged at the other side of the plantation on a quiet moor road that led me to Little Alms Cliff which is also named Almias Cliff on the Ordnance Survey Explorer map. At the outcrops of the cliffs which are formed of Millstone Grit there are lovely views to the heather covered moors of Denton and Baildon. 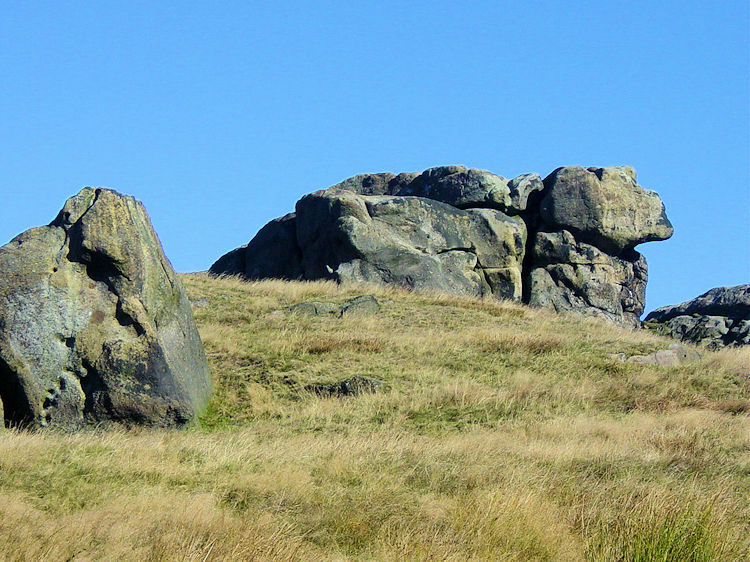 The larger formation of stones resemble an animal sitting taking in the great views. 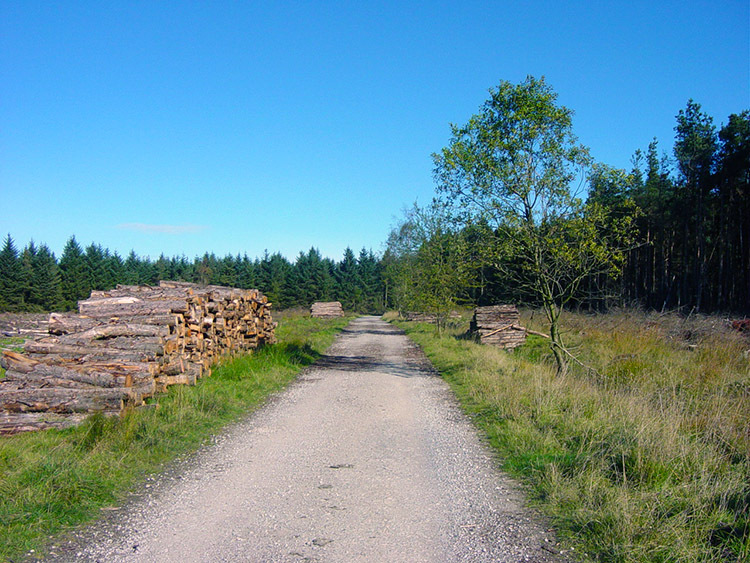 After a short pause at Little Alms Cliff I made my way back to Stainburn Moor Plantation where there is a large car park, a convenient spot for walkers to start their walking in this area. Probably the reason David starts his walk here in the book. For me though I was well into the walk now and with Little Alms Cliff visited the objective was now to head for its big brother. I left the car park area and headed back onto the track from where I came for about four hundred yards until I turned off to my left and took a track skirting the southern edge of the wood until I met a bridleway. The route took me past a trig point at a heady 245 metres high and then past Lanshaw Farm towards an aerial that is within a large high pressure gas station. 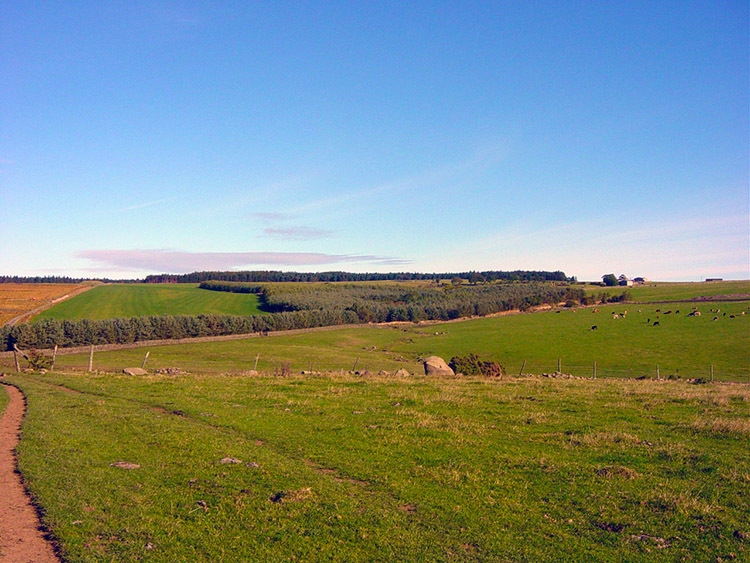 I walked towards the aerial on the bridleway surrounded on both sides by hordes of sheep. I couldn't possibly have counted them all, there were so many. I crossed over the B6161 for the second and last time on this walk and then headed over peaceful fields on Staniston Hill that afforded great landscapes and views of the hills shielding North Leeds. 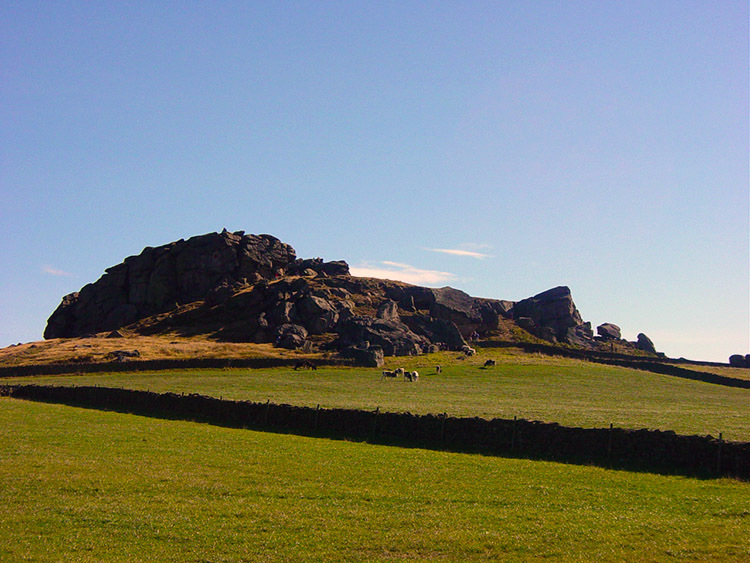 This section of walking also gave me my first glimpse of Almscliff Crag. 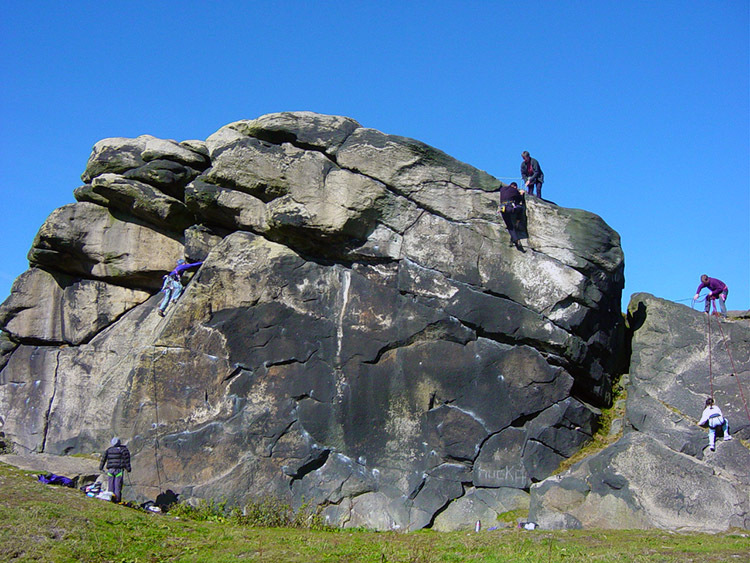 Almscliff Crag is a honeypot for people who want to get outdoors into the fresh air but who don't want to walk far. At weekends, particularly fine weather ones the roadsides are always crammed with cars and today was no exception. As I approached I counted about 40 cars parked up as close to the path up to the crag as they could get. 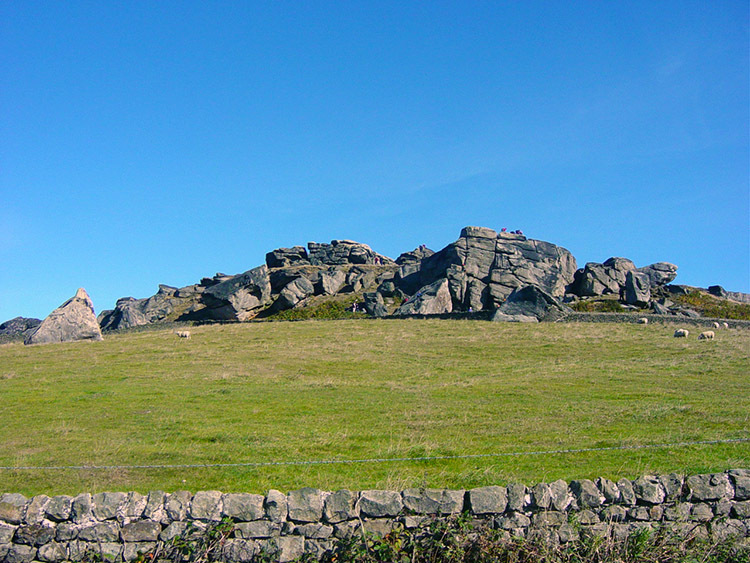 I left the fields and walked along the road for about 300 yards until I reached the car parking area, passing it to ascend to the crag. 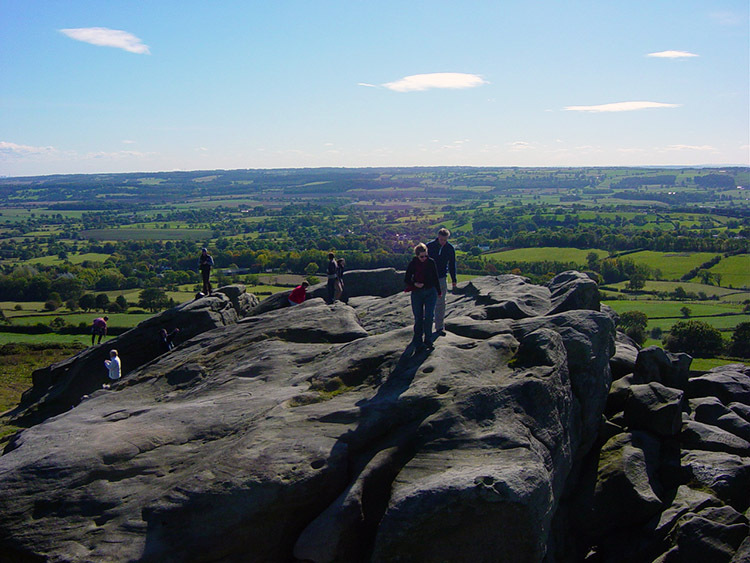 I had seen people stood on the top of the crag as I had approached and when I got to the top I was in the company of people for the first and last time on the walk. They don't go far! Who can blame them though as the views from the top of the crag are breathtaking. 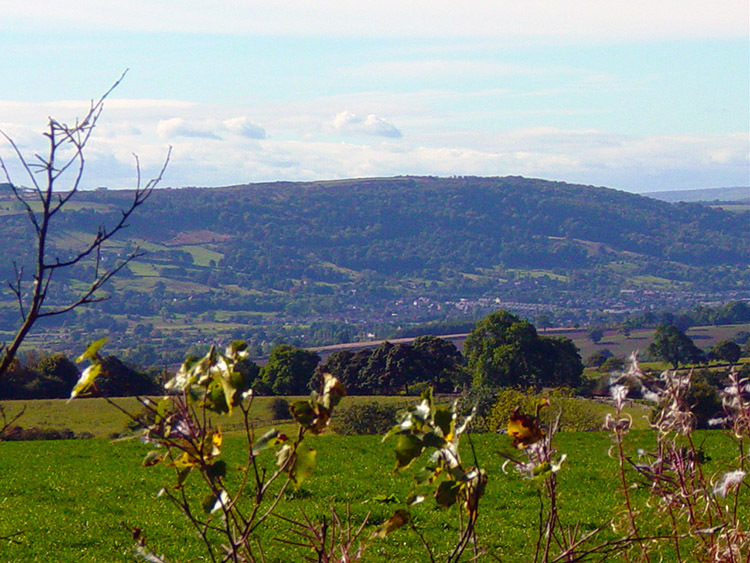 From on top I could clearly see the North Yorkshire Moors and the White Horse of Kilburn. I could see the moors to my west laden with autumn heather. I could see power stations puffing out smoke on the eastern corridor towards Hull. 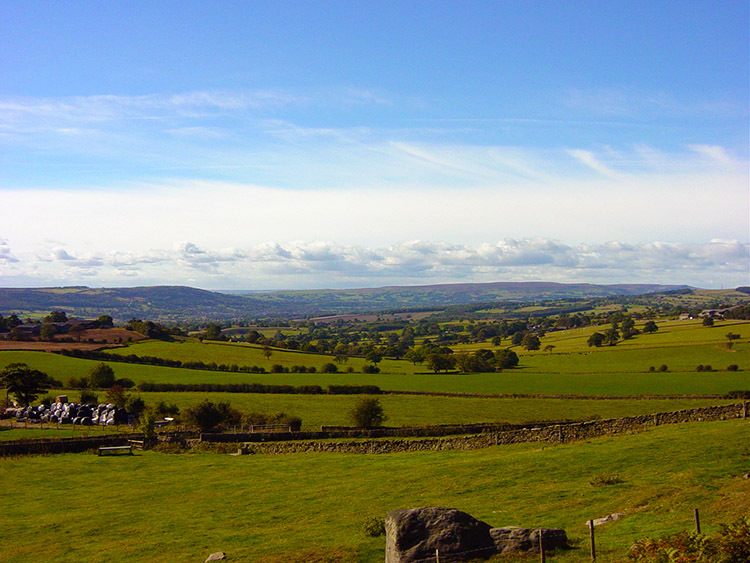 I could see lush green fields and valleys in the direction of Harrogate. The visibility was perfect and the views were absolutely fantastic. I dwelt on the crag for a while while taking in the glorious views and then reluctantly descended while watching learner rock climbers clambering up the southern face of the crag. After watching their skills for a short time I turned my head towards the west and made my final leg of the walk through fields, over trickling East Beck and along lanes to Stainburn, like Braythorn a lovely quiet hidden village. From there it was a short hop between the two villages back to the car. And so ended a superb Sunday morning out walking.